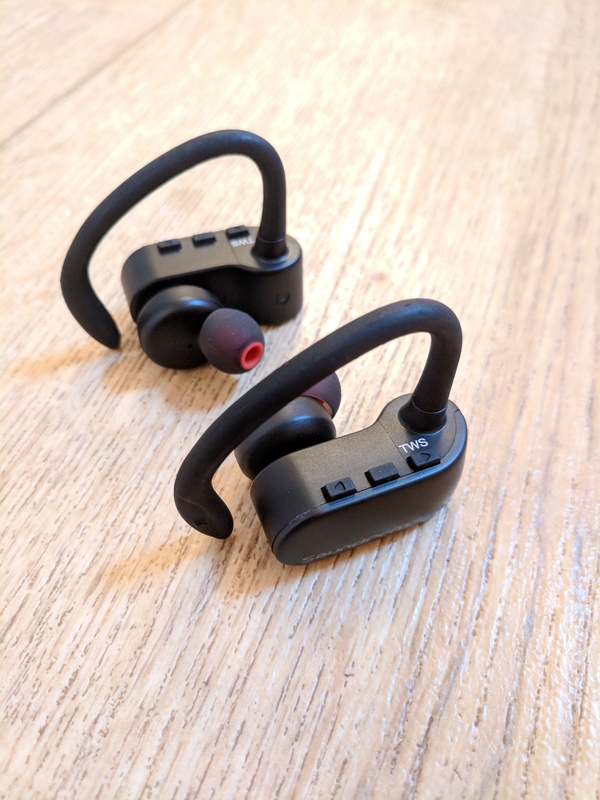 A couple of years ago I purchased some Soundpeats QY7 bluetooth headphones. 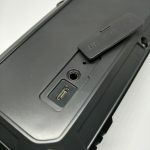 I use them when travelling and other than the battery life and charging find them pretty good. 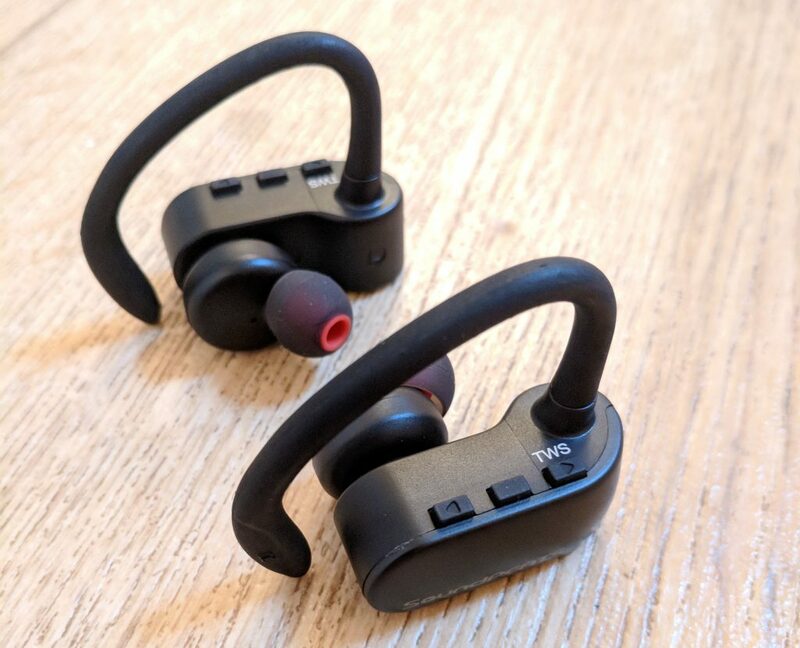 So when Soundpeats asked if I’d like to try their Q16 truely wireless bluetooth headphones I said yes please. If you live on Fernwood the options for public transport unfortunately are limited. There is the 341, which drives around the village (anti-clockwise, so Dale Way then Goldstraw Lane) Monday to Saturday and goes to Newark Bus Station. The 24 goes between Newark and Grantham passing Fernwood along Great Northern Road (near the Tawny Owl), visiting Claypole, Dry Doddington, Westbrough, Long Bennington and Great Gonerby (Downtown). This runs Monday to Saturday excluding Bank Holidays. The 90a will get you to Nottingham on weekday mornings and back in the evening (if you work 9-5 and are a short walk from Nottingham Bus Station) from Great Northern Road (again near the Tawny Owl) and on Sundays the 90 runs all day to Nottingham. There are also the numbers 2 and 3 which start in Balderton, but you’ll need to make your own way there. b) blocked those outside of the UK from accessing the main UK channels. NOW TV have chosen to block the dev channel slot on their hardware. I respect their choice, but this does mean that the FilmOn app will be removed if you have it installed. 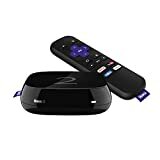 Several people have asked for a work around or suggestions, the answer is to get a full Roku. Not only can you install the FilmOn app without the need for dev mode you also get Netflix and Amazon Prime Video. I migrated from the NOW TV small black boxes to the Roku 2. Hardware wise they are identical. The only thing you’ll be missing from a NOW TV box is Sky Sports News HQ, Sky Sports Box Office and for some reason the BOX Plus. I’ve got to say that 12 months ago I didn’t think I would be writing one of these posts, and my WordPress account hasn’t been hacked. I’m not going to suggest doing a million product reviews or surveys, or suggest you join an eBook pyramid scam, but instead make the most of Matched Betting. Now this isn’t some kind of trading scam or one of those turn £10 in to £10,000 by doing a 50 fold accumulator, but instead playing the maths behind making the most of free bets that a bookmaker gives out. Imagine you’ve just popped to Ladbrokes and stuck £10 on Millwall to beat Leicester. They’ve offered you 2/1, which means if Millwall win you make £20 profit. Now you are down the pub and tell Barry what you’ve done, but you’ve lost confidence in your bet. Barry however thinks that Millwall will easily win and offers to buy the betslip off you. To make it worth while you sell it to Barry for only £9. Now no matter what the score is you are down £1. Whereas Barry now has a £9 bet to win £21 (Ladbrokes return your stake, of which Barry didn’t pay a pound for). However what you didn’t tell Barry was that Ladbrokes gave you a free bet token to use on another game and for a laugh you’ve gone for a long shot of Oxford to beat Middlesbrough at 13/2. If Oxford win Ladbrokes payout £65, but again you’ve not too confident in this bet either. So Dave offers to buy this betslip off you. Now because Ladbrokes don’t return the stake when you win with a free bet, you need to price the slip so that Dave will make more than if he went to Ladbrokes. So we sell this one for £8. Now no matter what the result is in the game you are £8 up, and for Dave if Oxford win he gets £57 profit, which is a fiver more than he would have got if he placed the bet himself. So for a quick trip to the bookmakers I’ve just made £7. Now it’s a lot easier than this. All the bookmakers are online and Dave and Barry are just other users on the Betfair and Smarkets betting exchanges, where you can lay your bets off. Most bookmakers will have nice welcome offers like bet £20 get £20, but the bread and butter of matched betting is making the most of the ongoing offers the bookmakers have. These include free bets if your horse comes second (you’ll get weird looks when you cheer on a horse not to win), extra winnings if the crossbar is hit, free bet if you have one losing leg in a five fold acca. In the last 12 months I started with just £200 and placed 2191 different bets, totalling £32,000 in which I’ve made £5,000 from. Throw in some advantage play casino and bingo offers and my total was £8,000. I’ve been on holiday, purchased a new Pixel XL, iPhone 7, iPad Mini and had lots more meals out with the family. Now how do I know which bookmakers have offers on, and the best way to make the most of them? I use OddsMonkey.com their forums are full of really useful advice (including a lot from me) and they have odds spotting software to help you find the best matches available to back and lay. It’s £15 a month, but worth every penny, and they’ll even give you a free trial to get you started. When FilmOn made their changes last month they blocked a loophole which allowed users to watch the higher quality (note, I’m not going to call them HD as I feel they aren’t high enough to have that label) streams without the need to have a premium FilmOn account. Several people requested that I support being able to login to FilmOn to reach the better streams, so today I’m please to announce version 2.0.8 of my FilmOn app. You can now login with your FilmOn email address and password and if you have an active pro account watch the higher quality streams. Thanks to the wonderful people at Aukey they’ve sent me some stuff to test. Next is the Aukey USB Wall Charger 50W / 10A 5 Ports. 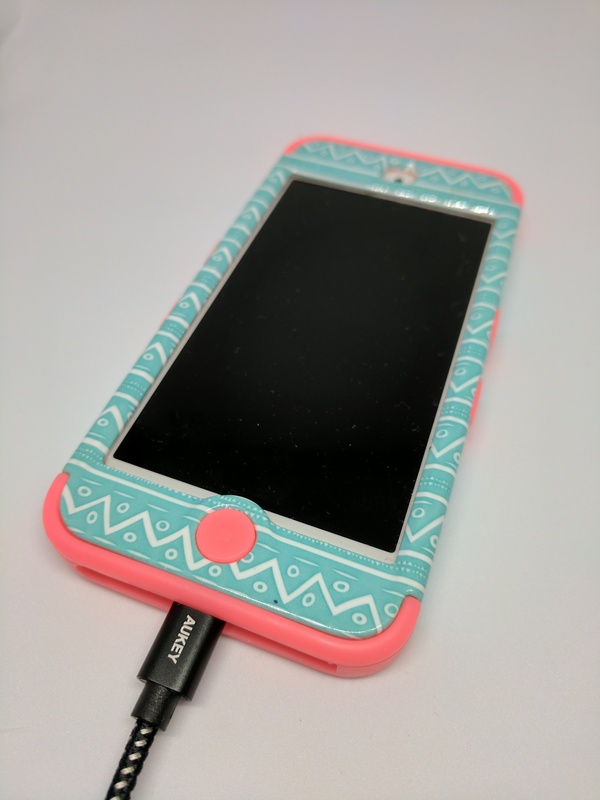 This 5 port UBS charger can knock out up to 10A, so around 2A per port, which is enough to get your iPad, iPhone, iPod, Google Pixel and Bluetooth Headphones charged. 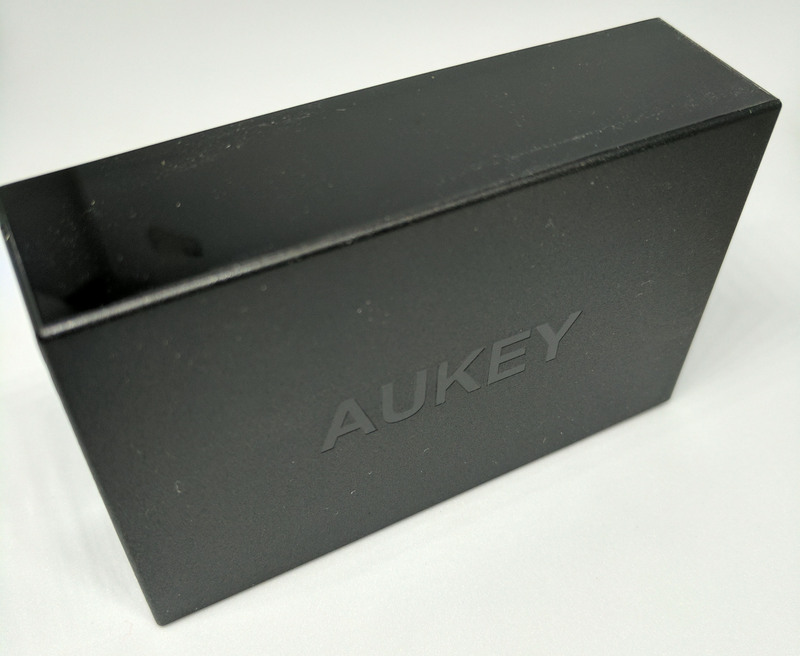 Next is the Aukey Outdoor Bluetooth Speaker. 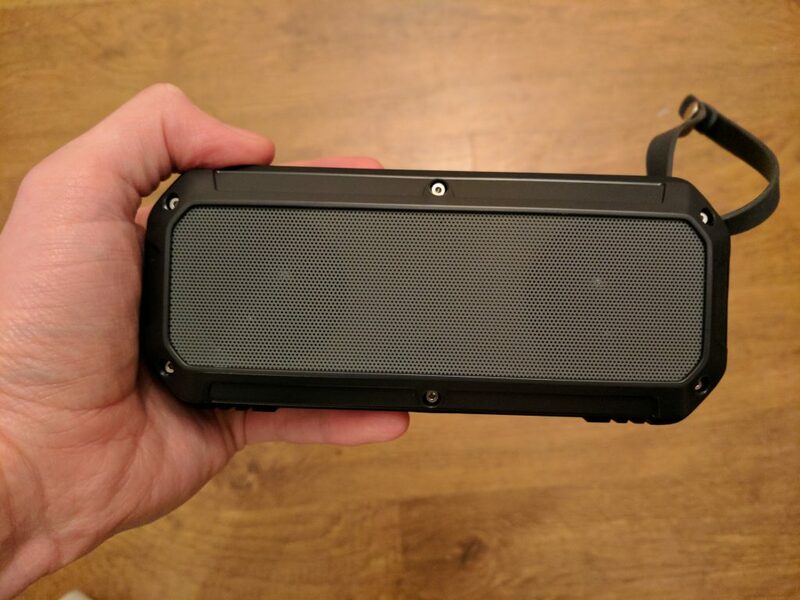 This little bluetooth speaker is built like a builders radio, it can take a good kicking and I’d expect it to survive a drop from some scaffolding. The audio quality is what you’d expect for a £20 bluetooth speaker, good but not amazing. Pairing was a breeze with my mobile, however after that it was let down by the bluetooth. I had the speaker on my dining room table, walking through the doorway to my kitchen (a distance of several meters) was enough to cause the audio to start dropping out, which means that either the phone stays with the speaker, or the music has to be paused if I’m not close enough. 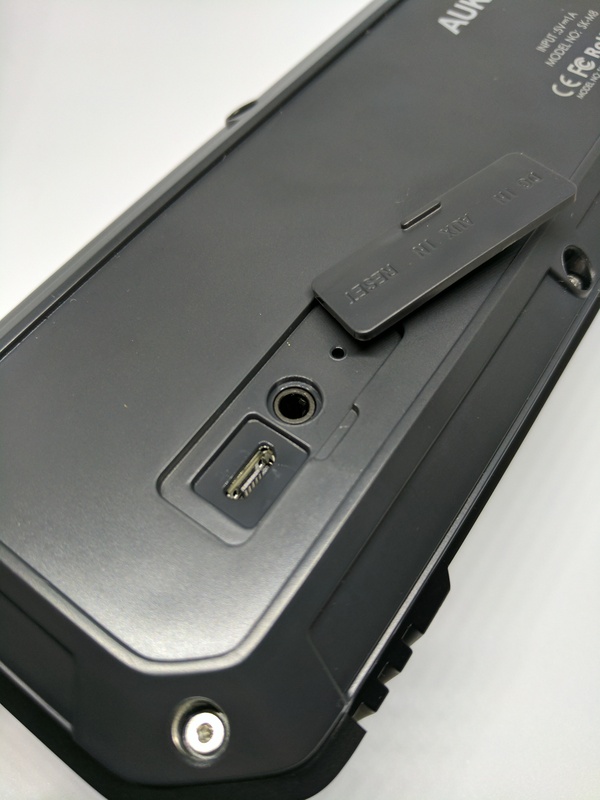 It has a hidden micro usb port for charging and also comes with a 3.5mm port for audio in, if the device you use doesn’t have bluetooth. It would have been nice if it also had USB A port, then I could have considered powering a Chromecast audio from it and then wouldn’t need to rely on the poor bluetooth, but it’s a cheap speaker. 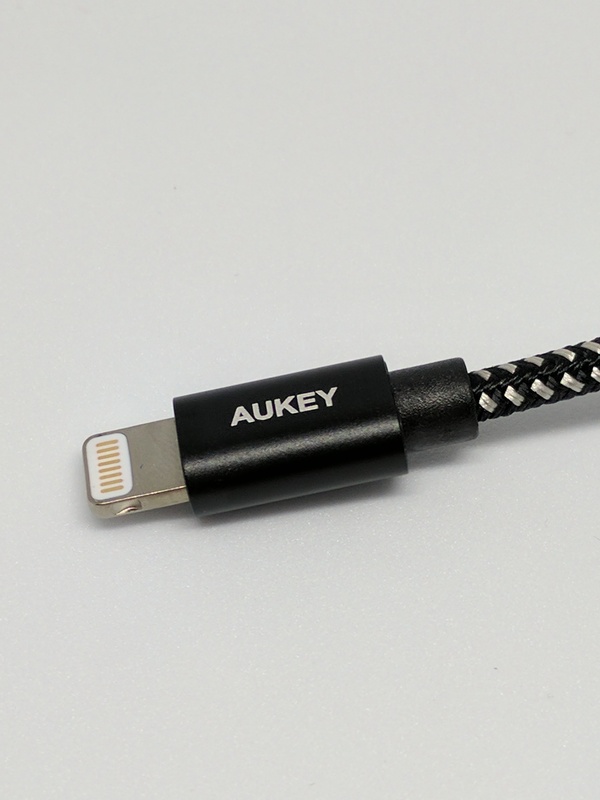 First up is the Aukey Nylon Braided Lightning Cable. 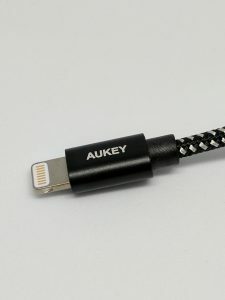 By being braided it should be less likely to kink compared to the cable that Apple provide with their iPhones. It’s also less likely to knot up, however when trying to pack it does like to spring out. At 1.2 metres long you can use the phone whilst on charge without having to sit next to the wall. Being Apple MFI certified, your phone won’t moan about using an unsupported cable. As with any USB cable the main test is how they perform in 6 months, and I’ll update next year. So yesterday I began to get reports from users that streams would no longer play, this occurred around 16:30 (GMT) as I was preparing to leave work to head home. Once I arrived home I could see that some of the tricks previously used to generate the m3u8 urls returned an error from the FilmOn servers. I quickly built some new code which used more of their API and successfully allowed me to watch most of the channels, this was the 1.5.0 release at 19:15. Again reports came in of issues for some channels with the new “Unable to fetch stream URL” error message that I added. I could only replicate this issue with BBC News, Really and some of the french channels. I was able add some more code which fixed this issue for me and 1.5.1 was released at 21:25. Users outside of the UK continue to report they can’t watch UK stations, whilst those who can watch the channels get the streams stopping after 2 minutes.